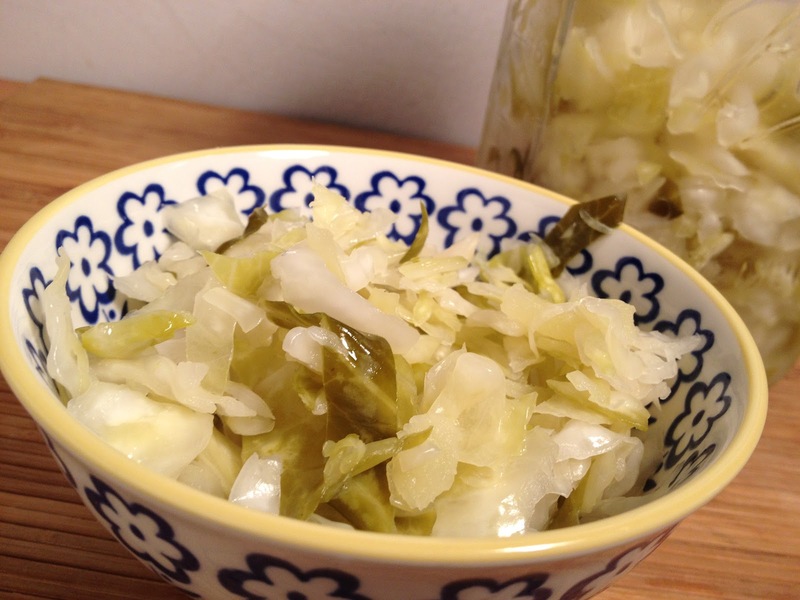 This is a follow up to a previous blog post of mine on fermented green cabbage: SAUERKRAUT. It deserves it’s own post first because it’s incredibly delicious and healthy and second due to noted future safety precautions as I almost sliced open my hand! I have never fermented cabbage before this year- now I will ALWAYS have this or KIMCHEE in my refrigerator! This is incredibly easy to prepare and goes along way. It’s the perfect companion to any meal or even alone in between meals. So last week or so, I fermented the green cabbage- left it for 7 days. This is it in the picture-ready now! Really incredible! It was so delicious that I brought 2 jars to work. One jar was made using an attachment that does not let air in or out but does allow for gas to escape. I used this large large for most of the cabbage. Since, I had more leftover, I decided to pack it into a jar like many would do who didn’t have the accessory tube that I used. When it was complete, the 2 differently jarred sauerkrauts tasted similar yet smelled a little different. Both were good! When the sauerkraut is complete- you TRANSFER it into another jar and refrigerate! Well… I did that for the big jar! The small jar that I had sealed with no air or gas escaping– this one especially… I should have transferred it to another jar. Instead, I just moved the fermented sauerkraut jar directly into the refrigerator. I guess that was a mistake. Later that night or the next day- we were eating both sauerkrauts at work. We were raving about how good they were so I decided to put the lid back on and give my friend the whole jar. I went to screw the mason jar closed and the entire top of the jar shattered and cracked everywhere- even possibly into the other jar, hence having to throw both out. So sad. 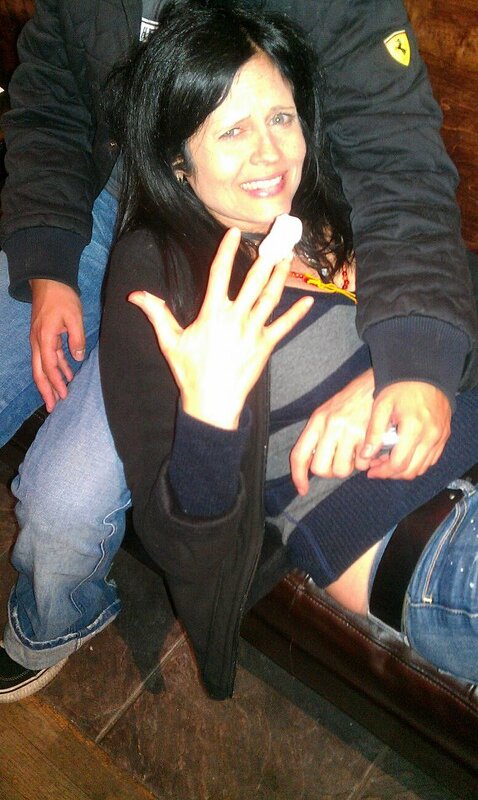 I think we were more sad about that then the blood pouring our from my hand. I probably should have gotten a stitch or two but hey- they closed NYC’s St. Vincent’s Hospital in Greenwich Village so – I wasn’t going anywhere. We had 2 EMT’s on hand- yes I am a baby! I was somewhat concerned though being a vegan and one with Mediterranean anemic (Thalessemia)- also there are times of the month when my hemoglobin might be low. Anyway.. as it turns out- the body is a self healing machine! I survived- and I will learn more about fermenting so I don’t make that mistake again.